Make your flight and racing games more realistic with the Pro Pedals USB from CH Products, the leading manufacturer of simulation controllers for personal computers. The experience of flying simply cannot be captured with a joystick alone, nor can you drive with just a steering wheel, you'll also need a brake and an accelerator! 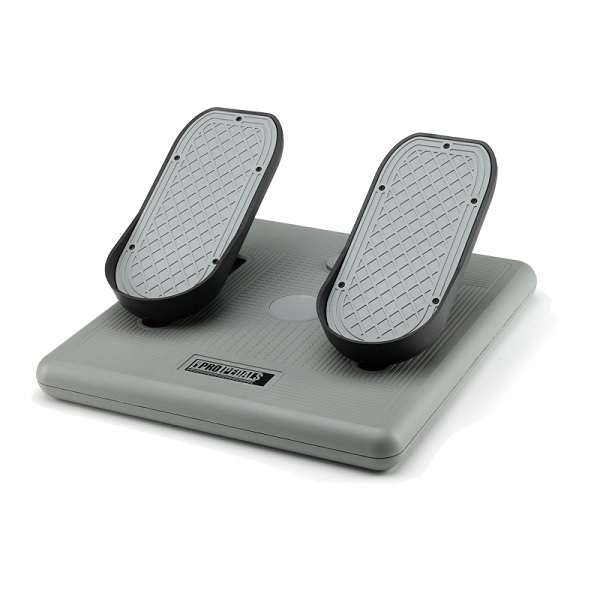 Mimicking the movement of pedals found in many aircraft, the three control axis provided offer pressure sensitive heel toe motion giving you terrific feedback for differential toe braking, while the forward and backward sliding motion let you realistically control the rudder. Adding compatibility for a huge cross section of titles, these rudder axes can also be locked to convert the Pro Pedals into an automotive setup for driving and racing games! Put simply, this means that the X and Y axis offer left and right toe braking control for flight simulations, or for use as accelerator and brake pedals when locked for a motor racing setup. The self centering Z axis delivers precise and accurate rudder control for aircraft simulation titles, so you'll have no trouble with crosswind landings, takeoffs or tighter turns, so it is easier to lead a bandit into your sights in a dogfight. Installation is a breeze, just connect it to an available USB jack and you're ready to go. Ease of use is the key, so there are no drivers to download, these pedals work with both Mac and PC operating systems and the seven foot USB cord makes it easy to position where it is most comfortable and accessible during long flights or motor races. Constructed from sturdy components offering years of solid use and with a large base that keep it firmly in place during your simulation sessions, there is no better solution for added realism and increased enjoyment of flight and racing titles available. These robust, quality military specification level Pro Pedals offer an industry leading two year warranty and are fully compatible with all Microsoft operating systems from Windows98 onwards in both 32 and 64bit versions. These pedals also work perfectly as a USB interface device on Mac systems. * 3 axes (X, Y & Z). * X and Y axes for left and right toe brake control. * Z axis on self centering sliding mechanism for rudder control. * Realistic heel-toe differential brake control. * Locking rudder axis for accelerator & brake emulation for racing titles. Would you like to know more? Check out CH Products' full product information page.